Is half the choir on vacation? Did inclement weather prevent even your most faithful from showing up Sunday morning? Did the minister suddenly change the worship emphasis without telling you? This invaluable sequel to its best-selling predecessor (Vol. 1 - 45/1108L) will help you and your choir maintain an excellent ministry of music for your congregation in spite of unforeseen crises. 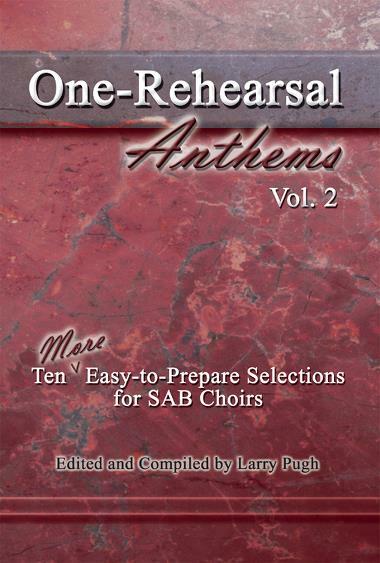 The creative use of unisons, doublings, canons, and similar compositional devices make these ten well-crafted anthems "one-rehearsal wonders," yet maintain an appropriate musical and theological integrity. The variety of musical styles is ideal for churches seeking a blended worship format and it is an economical, budget-stretching addition to your choral library.